People who follow events in Myanmar are worried about its stability in the weeks leading up to a visit from Pope Francis. The pope will arrive in late November. It will be the first-ever visit to Myanmar by any Roman Catholic leader. The country, also known as Burma, was once a British colony, but has been independent since 1948. The majority of its people are Buddhist. For almost 70 years, Myanmar has had problems with ethnic and civil unrest. Recently, security forces have been attacking fighters from the Rohingya ethnic minority in the western state of Rakhine. The Associated Press reported Friday that almost 400 people have died in the latest violence. The government considers the Rohingya, many of whom are Muslim, illegal immigrants from Bangladesh. The Rohingya, however, say they have roots in Myanmar going back hundreds of years. 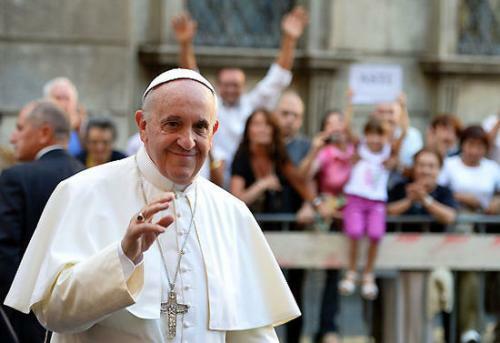 Observers want to know if the pope's trip can lead to peace. Mariano Soe Naing is a clergyman and a spokesman for the Catholic Bishop's Conference of Myanmar. He is helping organize the visit. He said the pope's message will be about love and peace. "I think he will try to emphasize this aspect of love, which will bring us to peace and harmony in this country," he added. Pope Francis has spoken about the Rohingya several times in recent months. More than 120,000 Rohingya are living in camps for displaced persons in the Rakhine state. Tens of thousands of Rohingya have fled to Bangladesh from western Myanmar since 2012. That was when the latest religious violence started. The situation worsened last year when a group called the Arakan Rohingya Salvation Army killed nine people in attacks along the border. The Myanmar military launched "clearance operations" that some rights groups have said could be compared to crimes against humanity. Myanmar leader, State Counsellor Aung San Suu Kyi, has condemned the attacks, but United Nations representatives are urging her to call for peace and a ceasefire. While some people hope the pope's visit will start the peace process, others are concerned that he may be too focused on the troubles faced by the Rohingya. They think his message may not resonate with the majority of people in Myanmar. Every eye at the conference was focused on the rostrum. He was totally unresponsive to the pressing social and economic needs of the majority of the population. His company is working with the Kenyan government and a children's rights group. 1.People who follow events in Myanmar are worried about its stability in the weeks leading up to a visit from Pope Francis. I'm leading up to something quite important. They had a series of arguments, leading up to a decision to separate. 2.The Rohingya, however, say they have roots in Myanmar going back hundreds of years. I must be going back at once.